M400 Srp 16" 5.56 30rd 16"
SIG SAUER M400 SRP 16BBL 5.56 30RD 16"
THE SIG M400 SERIES TACTICAL RIFLE, designed for use in law enforcement, military operations, or the sporting field as well as competitive shooting. 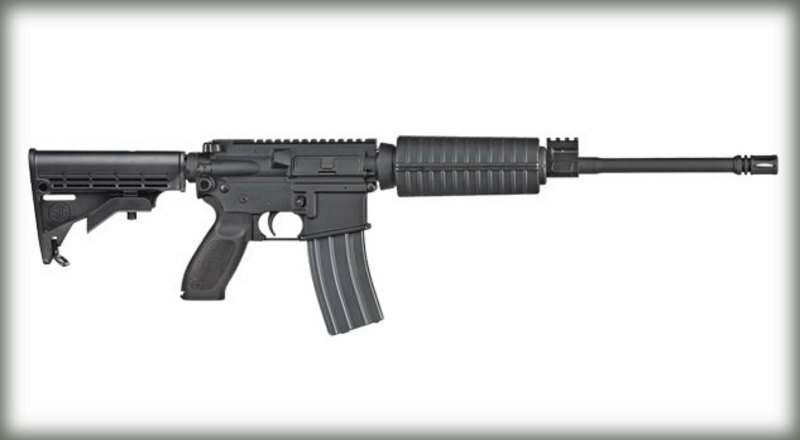 The SIG M400 is a true AR platform tactical rifle. Provides unparalleled accuracy, with a 16’ chrome-lined and phosphate coated barrel that provides maximum durability and corrosion resistance. A 7075- T6 aircraft grade aluminum forged lower receiver adds to the durability and reliability.